A simple way to choose beverages that won’t harm your teeth is to keep it simple and make water your go-to drink. Even so, that comes with a word of warning from Rotem Dental Care in Toms River NJ. 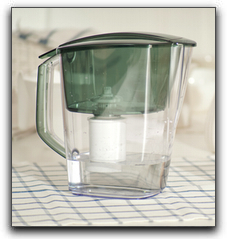 For safety, thrift, and convenience, many people choose to drink bottled water or filter it themselves at home. If you choose bottled water and are wondering if any naturally occurring fluoride has been removed, you can check the label. If you prefer to filter your own tap water, look to see if the American Dental Association has given the filter its seal of approval. Water filters that carry the ADA seal don’t remove fluoride. At Rotem Dental Care in Toms River NJ, we offer general and cosmetic dentistry. Call our office to schedule an appointment today. ‹ What is Patient-Centered Dental Care?